Thomas Waterfaul of this parish, bachelor and Caroline Isabella Simpson of this parish, spinster, were married in this Church by Banns, this 16th day of August in the year One Thousand Eight and Thirty Five. 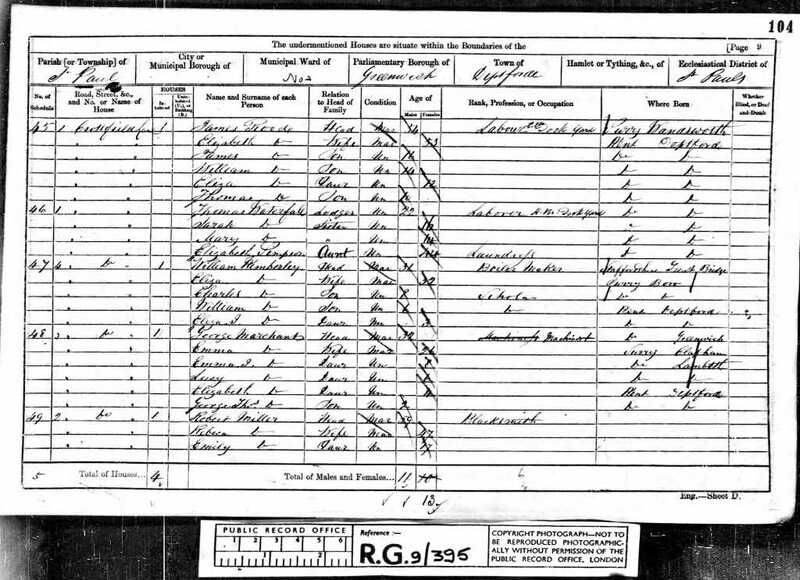 [S2] Birth Indexes, (Ancestry.com), march 1844 Greenwich 5 217. 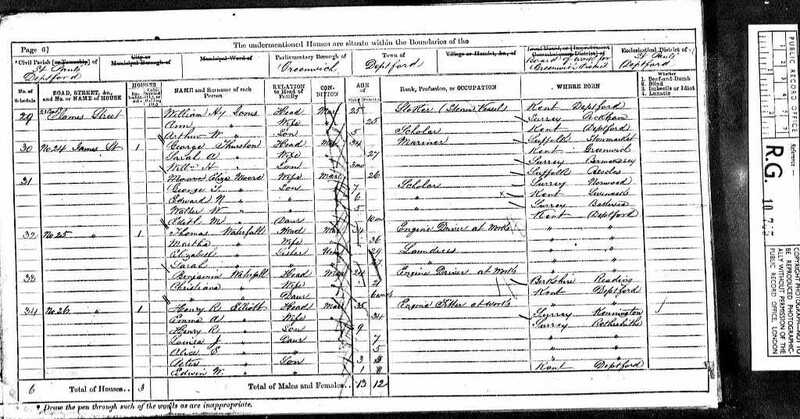 [S10] 1851 Census, (Ancestry.co.uk), HO107., HO107/1584 Folio: 535 Page: 40 (Reliability: 2). [S13] Baptisms of Deptford St Paul, (Ancestry.com), London Metropolitan Archives, Saint Paul, Deptford, Register of baptisms, P75/PAU, Item 010. 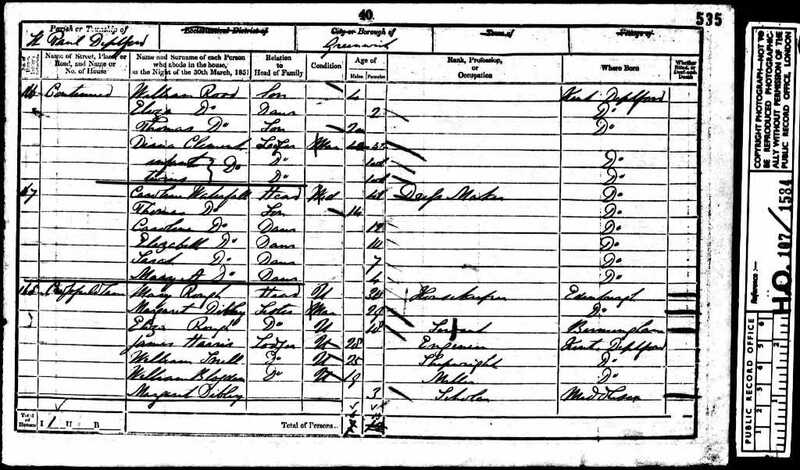 [S8] 1861 Census, (Ancestry.co.uk), RG9., RG9/395 Folio: 104 Page: 9 (Reliability: 2).